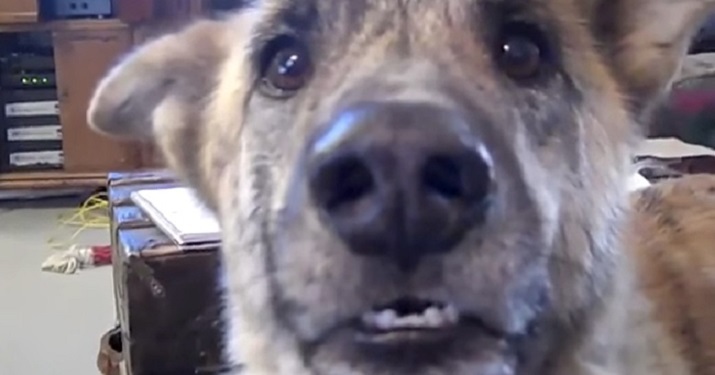 He Tells His Dog That He Ate All The Food… Easily My Favorite Dog Video! This guy has quite the talkative dog! Video maker and Canadian musician, Andrew Grantham decided to create some videos of his dog using the motion of his talkative mouth. The result? Very well done and pretty darn hilarious! This is one of the best talking animal videos as the timing is really spot on and the reactions are priceless. This big guy gets teased with all kinds of delicious meats that he won’t get to eat. See how this hilarious talking dog video pans out in this epic comedy gem from Canada!